When the great minds of Silicon Valley seek to gather in comfort and seclusion, they escape to their own hidden enclave at the Stanford Park Hotel. At the crossroads of innovators, industry giants, and university spirit, Stanford Park Hotel's familial atmosphere makes guests feel at ease so they can engage in the conversations that drive business forward. Choose from unique group venues where natural light provides the perfect backdrop for a variety of events. 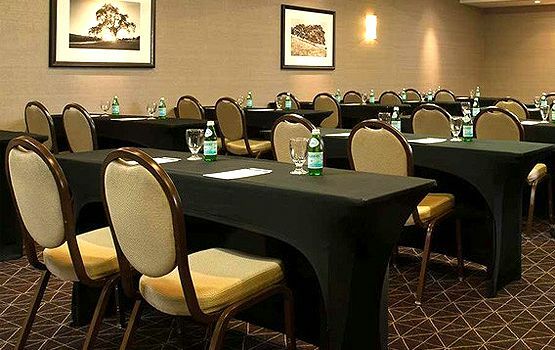 Stanford Park Hotel features 162 guest rooms and 5,000 square feet of flexible meeting space walking distance from Stanford University, downtown Palo Alto and Menlo Park. A neighborhood gathering place for Silicon Valley leaders. Host a casual mid-meeting luncheon under the California blue sky. Arrange for an intimate meeting in the Los Altos Room, a catered conference in the Menlo Room, or a social soiree in the Stanford Room with its wall-sized mural and attached patio. Welcoming service and gracious touches ensure every attendee feels at home. 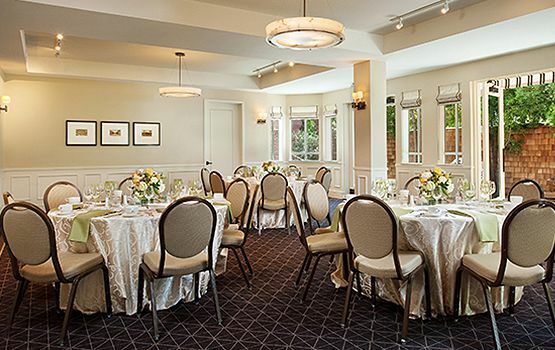 Our unique and sophisticated Silicon Valley event space is matched by our meticulous service and family-style private dining from our preferred caterer Menlo Tavern. We are also pleased to offer a range of state-of-the-art audio/visual equipment, including on-site technicians, music and entertainment. In homage to the stunning architectural details of nearby Stanford University, our Stanford Room has a magnificent wall-sized mural of the Quad and Memorial Church. With a layout perfect for meetings and catered social events, the Stanford Room is located on our ground floor, with a separate entrance and a private patio. Traditional and elegant, the Menlo Room can be easily adapted for a variety of events and set-up styles, functioning as a flexible space for meetings of minds. Located on the ground floor of the hotel, the Menlo Room is in close proximity to the lobby and patio and features a drop-down screen.. The Los Altos Room is located on the fourth floor and overlooks our stunning courtyard, functioning as a creative, productive and inspirational hideaway. 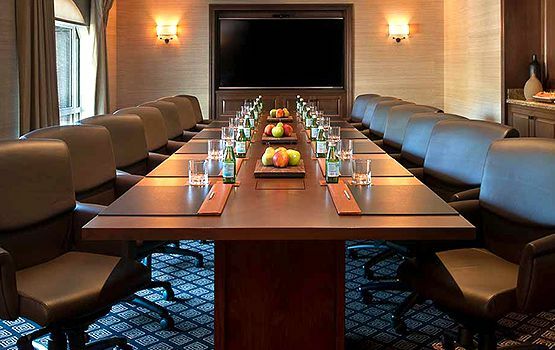 It is the perfect spot for board meetings or groups of up to 16.